Plastic Razor Blades: No Glass Scratch! Removing stickers and decals from glass or chrome can be tedious, and if you’re using a standard razor blade you risk scratching the glass or chrome. Many of us use our fingernails to try to get the stickers to peel off. Plastic razor blades can prove to be a real lifesaver in these instances, as they won’t scratch chrome or glass and they make short work of decal removal. They’re even helpful when removing masking tape from freshly painted surfaces. 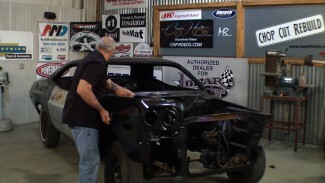 Craig Hopkins teaches you how to fit and weld the wheel panel on your project car in the wheelhouse. 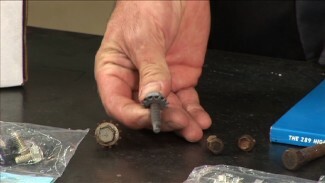 He uses a spot welder even though a plug weld works just as well for this type of job.